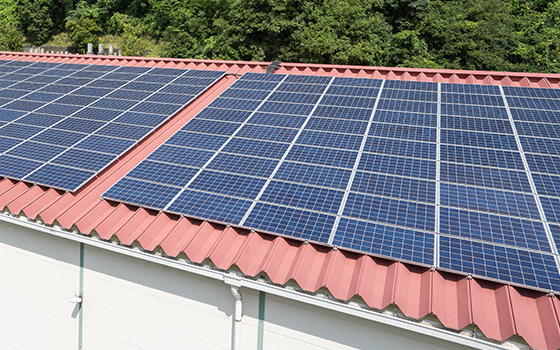 We have installed photovoltaic solar panel at each 3 plant (dyeing, weaving, and finishing) . By incorporating photovoltaic solar panel to generate power in each of our plants, we hope to reduce any air contamination or pollution related to power generating. Currently, we are generating over 10% of our total power usage with the hope of gradually increasing it. 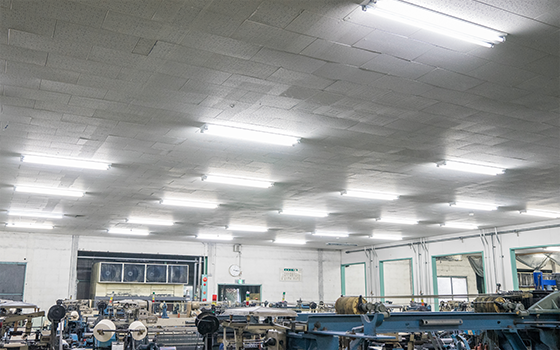 Many mercury-lamps and fluorescent lamps were used in all the factories, but are now being changed over to LED lights. Above all, mercury lamps consumes much power, and by replacing them with the LED with same luminosity, it will reduce its power usage to less than 1/3. Furthermore, the life of LED lamps are over 10years. 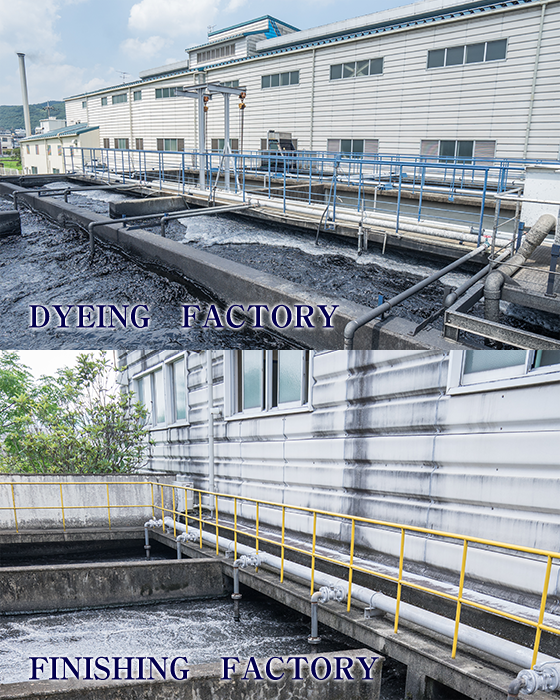 Dyeing plant and finishing plant are located in the center of Ibara City, and has a direct relationship with the public water system. In these 2 plants, we have installed a water treatment system which purify all waste water into clean water. 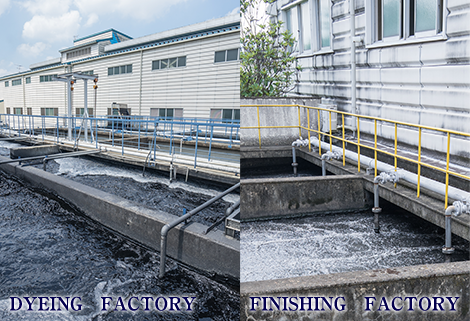 Waste water filterend by ways of activated sludge process which employs microorganism is then returned to the nearby river. Regenerated water is then used in the nearby rice paddies and fields for agricultural use. KUROKI's 3 plants easily clears the most rigid standard level of drainage of water in Japan. 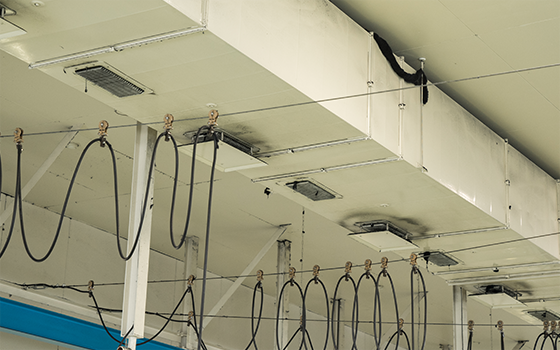 Due to many heat generating machines in each plant, air conditioners are necessities. These old type air conditioners have been replaced from to new ones which largely reduced power consumption.